WTM® Africa (World Travel Market Africa), Africa’s leading travel and tourism trade exhibition, will launch its third annual show from 6 to 8 April 2016, and once again the show has chosen the Host City of Cape Town’s venue, the Cape Town International Convention Centre (CTICC). 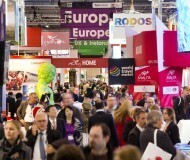 The City of Cape Town has retained the position as WTM Africa’s official host city for the third year running. The City of Cape Town boasts award-winning beaches and World Heritage Sites such as Table Mountain and Robben Island and nestled at the Southern tip of Africa, Cape Town is a premier urban tourism and business destination with so much to offer local and international visitors, buyers and exhibitors. Always busy and constantly on the cutting edge, this diverse city offers something for everyone. The Cape Town International Convention Centre (CTICC) is the ultimate venue for conferences, exhibitions, trade shows, concerts and other large-scale events. Situated at the foot of one of the world’s most iconic mountains, in the heart of South Africa’s vibrant and welcoming Mother City, the CTICC’s undeniable charm is exceeded only by its professionalism and versatility. Offering flexible venues, world-class facilities, and professional staff, the CTICC is designed with great experiences in mind. From its bright and airy double volume public gathering spaces and highly advanced technology to its uniquely delicious Afro-global cuisine and legendary attention to service excellence, every detail is meticulously attended to. With two days to go before the doors open, anyone in the business of travel and tourism, dealing with outbound or inbound are encouraged to register for free attendance at www.wtmafrica.com. WTM® Africa is part of Africa Travel Week comprising of three targeted travel and tourism events; ILTM Africa (International Luxury Travel Market), ibtm africa (international business travel and meetings) WTM® Africa (World Travel Market Africa). See www.africatravelweek.com for more.